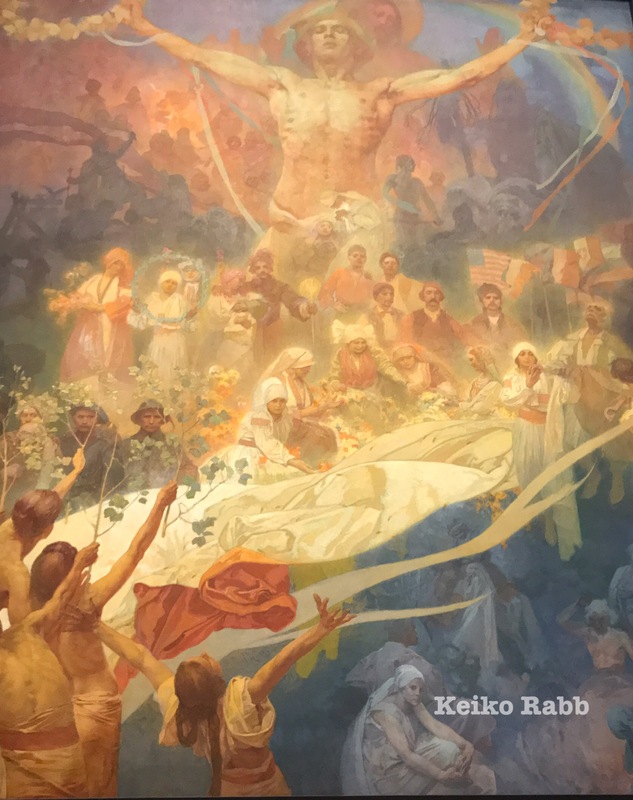 The Slav Epic is a cycle of 20 huge paintings by Alfons Mucha. You might know his many works as graphic designer with beautiful ladies and flowers’ motifs of posters for many exhibitions and products. The Slav Epic was painted after he returned to his home country, Czech Republic between 1910 to 1928. 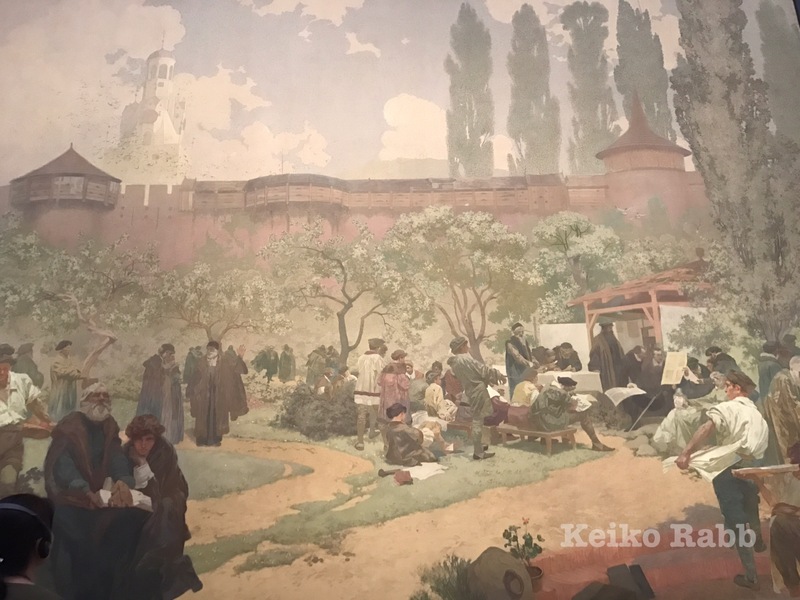 The Slav Epic cereblates Slavic history. Each paintings expresses some story, cereblation, reality of war, unity, etc. Now, we can see them in Tokyo until June 5th, 2017. 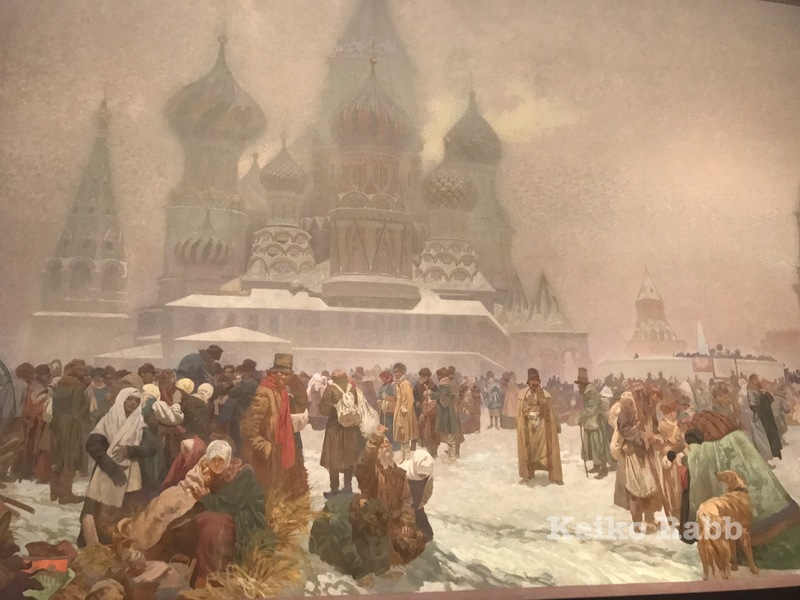 Mucha’s grandson concerns about this 2 year tour of The Slav Epic, because repetitive shipping processes cause of damages of the paintings. However, I saw the paintings in Tokyo, and was so amazed and touched. 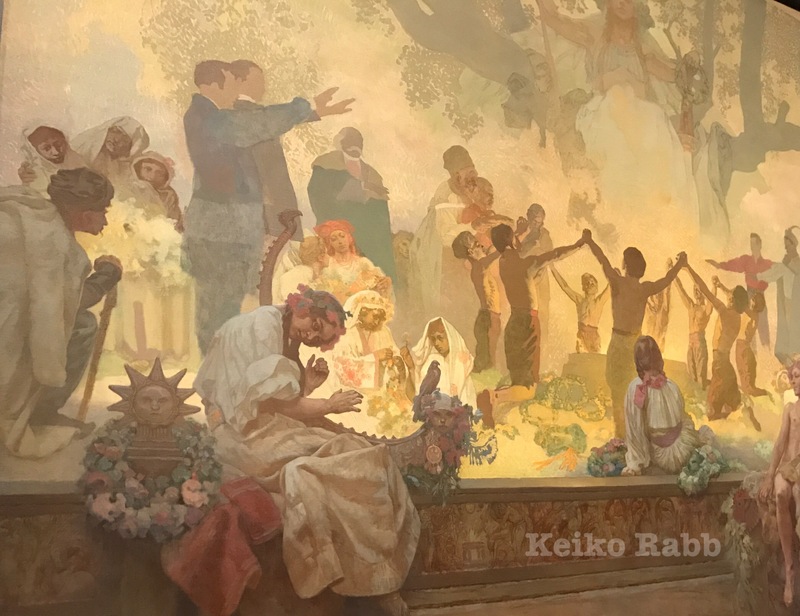 The paintings are so beautiful and I believe Mucha and these paintings want to tell us uniting nations and people are important things in this world especially at this time. There are many conflicts between people and nations. Many people suffer from wars and terrorism. So, I understand the concern, however, this is really good time that these paintings go around Tokyo, China, South Korea and the US. And, I believe this is what God’s amazing part that He provides this for us this timing to tell Peace and love. No one wants to see countries and people are destoried or suffer. No one wants to live in constant fear. So, I hope we all can learn and feel what we need to do now. Love each other and unite. This is what we need for our world now. 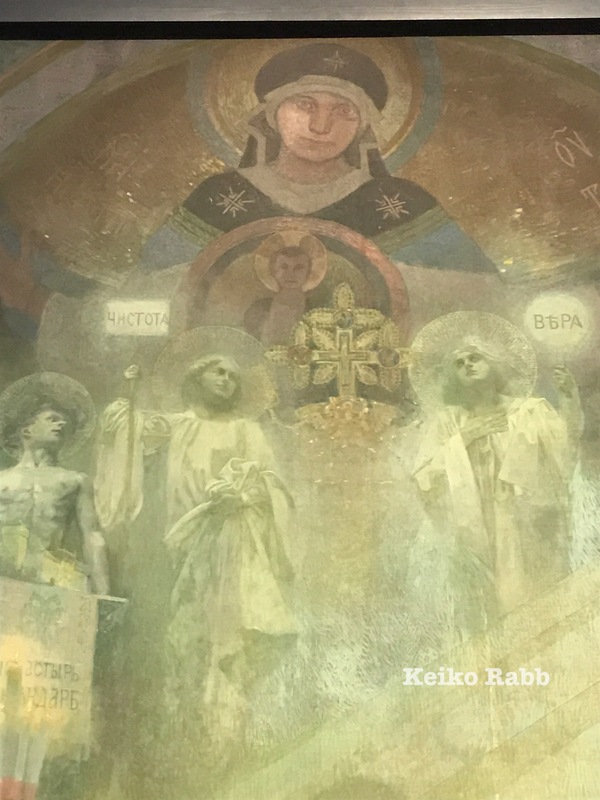 This entry was tagged Love, Mucha, Peace, The Slav Epic, unite, world. Bookmark the permalink.